It’s always been there. A strong feeling of sadness mixed with pleasure and affection when I think of happy times of my life in the past. But it did occur to me today, not once when I saw a video compilation of the life in 1990s, but for the second time when I saw an advert poster which had a picture of paper boat. It struck a relational search query in my episodic memory that made the neuron cells fetch the good times I had in my childhood. I was born and grew up in my grand-parents’ house situated in my native land Koothanallur, a small municipal town. It’s a beautiful house cornered in one of the busiest junctions of our native. It had one storey and was terraced by old-fashioned roof tiles. The portico stood at knee height from the roads and had adequate place to bear the playing pitch for cricket. I don’t remember playing football there. The entrance to the house was not barricaded by iron gateway, as it does now. Not very long ago if I could remember, it was an unusual weather and turned out to be continuous downpour. The streets resembling perennial rivers with the rain water freely flowing through the shallow roads. Nothing could have been done except enjoying the rain and expecting holiday announcements from school. After the rain stopped, I remember gathering at the porches that made into a river bank and finding tiny, fragile white-colored vehicles travelling on water. #Paper boats. 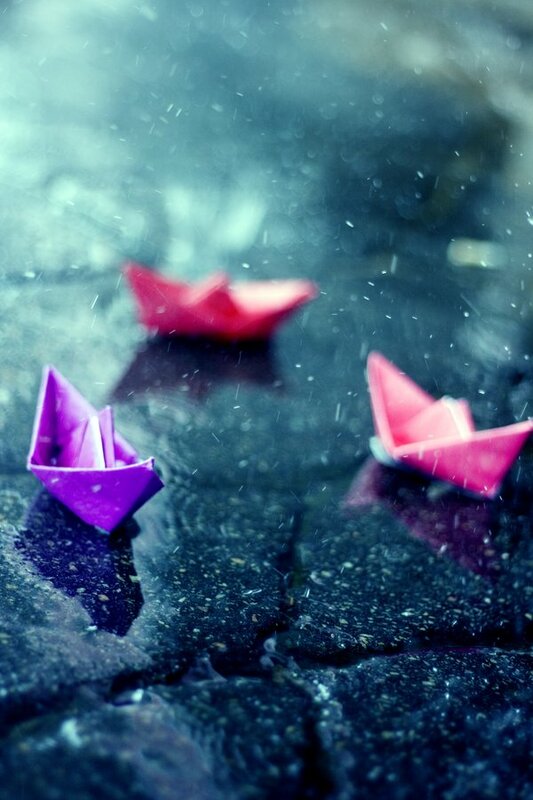 It’s a very common pastime in rainy days, where we all remember making paper boats and were very proud of it. We made ships of different size. They were made of classroom notes, papers, magazines. A war ship would have a knife-like tail at its base. The boat bobbed like a cork on the waves: light and buoyant.The happiness is short-lived as long the boats continued floating in the surface and so is the sadness when they sunk without fatalities. It was a joyful. Also, it didn’t stop with the roads. Our ships sailed in the puddle in our living room below the small open top ceiling. It was like a mini swimming pool. It was difficult for the ships to sail when the rain started. So we had to wait until the rain stopped. The rainy days ended happily as my ships sailed.